The Sandplay Method is a play therapy modality, which consists of the child, or adult client making whatever he or she feels like building with a wide assortment of miniature figures in a tray of sand in the presence of a trained professional. Generally this is done in silence. There is no judgment or comment from the therapist. The miniature figures, or collection, include representations of all parts of life and fantasy. In addition, there are building materials available to make unique items when needed. 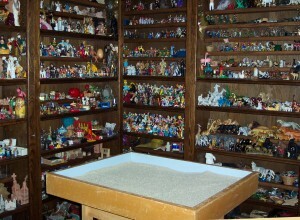 It is the “inner world,” or psyche, of the client that chooses the figures and arranges them in the sand tray. In this way, the less conscious parts of us become visible and are shared in a safe setting. This includes our conflicts, remedies, and potentials. Sandplay work is much the same as working with dream imagery. However, there are significant differences. Sandplay work is three-dimensional and concrete, so the imagery does not “fade away” as it does with dreams and some other forms of play therapy. Because the sand tray scene is constructed in concrete form, the client becomes more aware of what stands in the way of his or her continued growth and personal development. It sits right in front of us in the sand tray. On a pre-conscious level, we also become aware of our strengths and gifts, because they are equally visible in the sandplay. These changes that are set in place in the play later become a part of the conscious personality. The therapist makes the inner exploration of Sandplay safe by respectfully understanding the process as the client moves through deep issues and discovers new ways of being in the world. The depth of the work undertaken in Sandplay would be far too hazardous for anyone to undertake alone. The trained therapist’s presence anchors the work in reality. Without this the client could easily fall into dangerous psychological territory. In The Red Book, Carl Jung culminated his study of the process of psychological growth and development, individuation as he called it, with the recognition that what is at the root of psychic change is the IMAGE. It is the psychic image itself that initiates and effects human change. It is not a cognitive process at all. Jung clearly saw that it is only by evoking and holding the spontaneous images that arise intrapsychicly that the human being undergoes psychological transformation. This is what takes place in Sandplay. The Sandplay method intentionally makes a space for these images to manifest. In Jungian Sandplay, we do not talk about them, but allow them to work autonomously on the psyche. In fact, talking about the images that arise actually interferes with the human growth and developmental process. The therapist and client mutually experience the powerful symbolic images that move and change the client’s psyche. The shared experience of the images in Sandplay initiates changes in the client’s neurobiological makeup, which lead to his or her healing and transformation. The therapist’s capacity to understand the images and to remain connected to the client’s felt experience of the process, strengthens the work and re-orders very deep issues that words and analysis fail to touch. Of critical importance in this process is the fact that remaining focused on the image allows the therapist to stay aligned with the vicissitudes of the client’s inner work. The therapist is an ally, a solid partner in the client’s journey. This alliance contrasts dramatically with other forms of therapy, as well as some methods of working in the sand, that depend upon the client’s transference, or playing out his or her issues against the therapist. Although the Sandplay images are not discussed with the client at the time of making the sand trays, a vital aspect of Sandplay’s effectiveness depends upon the therapist’s ability to understand and hold what it is the client is doing. The Sandplay therapist must be a well-developed, centered and stable individual, who is fully able to accompany the client’s journey through all aspects of his or her inner world. In addition to this, the Sandplay therapist must have a vast understanding of the processes of psychic change, myth, symbol, and fairytale, as these are the words and language of the psyche. Symbols and myth are the natural language of pre-conscious mental functioning and the native domain of children at play. Unlike other forms of therapeutic play however, this inner language becomes visible in the shared context of Sandplay. On the surface it may appear that the Sandplay therapist is not doing much, or that sandplay therapy is very easy to do. Nothing could be further from the truth! The Sandplay therapist must undergo significant training, personal work and on-going study to practice effectively. We need to be aware that there are many therapists who have sand trays and say they do Sandplay, yet lack the necessary training and experience. Always check to see if the professional is credentialed by the Association for Sandplay Therapy and The Association for Play Therapy. People often ask what the difference is between Jungian Sandplay therapy and other uses of the sand tray, often referred to as sandtray or sand tray therapy. Jungian Sandplay is an analytic, depth therapy, as we have discussed above. The tray and sand can be used in any number of different ways. As examples, some therapists direct the client to create a scene replicate an experience, or how he or she would like things to be. Others use it in Gestalt work, having the figures interact with each other. From the Jungian perspective, these methods tend to force material into consciousness, bypassing the the time needed for the neurological development that supports and sustains new ways of being and functioning in the world, as we see in Sandplay. 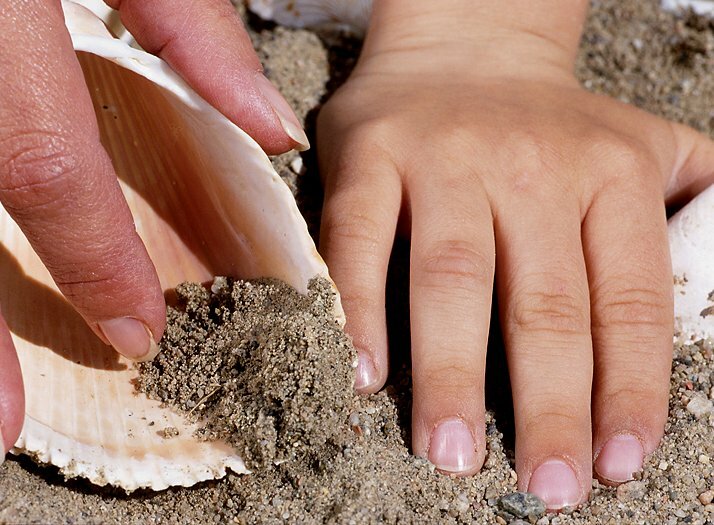 When looking for a therapist who works in the sand tray, be sure to ask what their theoretical orientation to the work is, where they received their training, whether or not they do ongoing consultation, and if they are Registered as a Sandplay Therapist by the Association for Sandplay Therapy, or the International Society for Sandplay Therapy. These organizations work diligently to prepare therapists to do Sandplay.